China and India have been engaged in a standoff in the Doklam area near the Bhutan tri-junction for over three weeks after a construction party of the Chinese Army attempted to build a road. 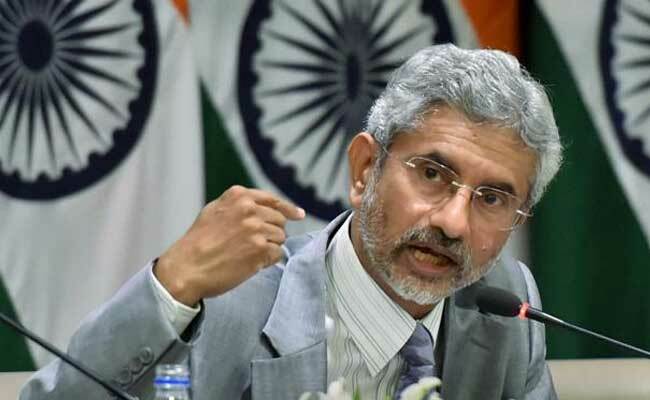 Singapore: India and China have handled border issues in the past and there is no reason the two countries will not be able to handle them this time, Foreign Secretary S Jaishankar said in Singapore today. "It is a long border, as you know no part of the border has been agreed upon on the ground. It is likely that from time to time there are differences," Mr Jaishankar said. He was responding to questions on the standoff between Indian and Chinese troops in the Doklam area of the Sikkim sector at a lecture on 'India-ASEAN and the Changing Geopolitics'. The lecture was organised by the Lee Kuan Yew School of Public Policy and the Indian High Commission. Underlining that this was not the first time that China and India had border differences, Mr Jaishankar said, "When such situations arise, I see no reason, when having handled so many situations in the past, (why) we would not be able to handle it." Doka La is the Indian name for the region which Bhutan recognises as Doklam, while China claims it as part of its Donglang region.